Target the right companies with this 3-step strategy. This is a guest post by George Verdolaga. If you’d also like to guest post here on JobMob, follow these guest post guidelines. Think it’s hard to get a job these days? Despite recent reports of a surge in job growth and a lessening of unemployment since the recession of 2008, the economy is still in a pretty dismal state in both the U.S. and Canada. Offshoring, increasing automation and the changing jobs landscape are making it hard for job seekers to find work. So how can you rise above the competition and position yourself as the top candidate when several people are likely looking for the very same jobs that you’re after? Remember that not every company will be a good fit for you. When you know what you want, then you can narrow down the industry where you’d like to get a job. Knowing the industry where you want to work is half the battle. Saying that “any job works for me” won’t help you get work. Once you narrow down the companies, write up a list of company presidents or CEOs that you can start calling to discuss your career options. The bigger your list, the more people you can talk to that can tell you about their corporate culture and whether it will be a good place for you to work or not. The more options you have the more relaxed you’ll be talking to people with power and influence. 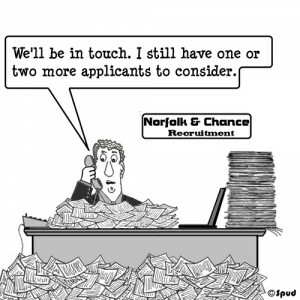 This is one of the biggest mistakes that both novices and people with tons of work experience commit – they go where everyone goes and flood HR departments with resumes. With software that automatically sorts resumes into “potential hires” and “rejects”, this makes it an even less attractive option for you to send unsolicited resumes. Cut to the chase and pick up the phone or use your network to contact important decision-makers who have the power to hire you on the spot and give them a sneak preview of what you can do. Keep in mind that you’re also doing the picking and choosing. You have equal power to choose who to work for as much as these employers will pick and choose who can work for them. Once you’re in a decision-maker’s office (executive-level, and not an HR manager) inquire about how they got started and how they overcame their biggest challenges in getting to where they are now. Ask them what kind of advice they’d give to an up-and-comer like you. Never ask for a job up front, which shows desperation. They’re already evaluating whether you’d be a good hire anyway so don’t steal their thunder. The key is to (1) get to that CEO or VP’s office and (2) show them your brilliance by asking questions and not talking their ears off about what a great hire you’d make. Leave it to them to offer you a position at their firm, or connect you with one of their subordinates to see if there might be an opportunity somewhere in their firm for a smart and pro-active person like yourself. George Verdolaga is an author, speaker and workshop facilitator. He was written a course on job search called Sitting Pretty and two books: The Job Farmer, which shows people how to find clients or business clients by ‘farming' rather than hunting and the other is called The Contractor Lifestyle, which is a book about how to have a job for life as a result of thinking like a business owner rather than a wage slave. He can be reached through his www.georgeverdolaga.com website or at Twitter via @georgeverdolaga. 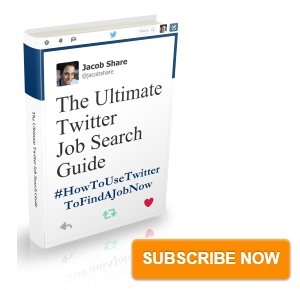 This article is part of the The $11K 8th Annual JobMob Guest Blogging Contest. If you want George Verdolaga to win, share this article with your friends. 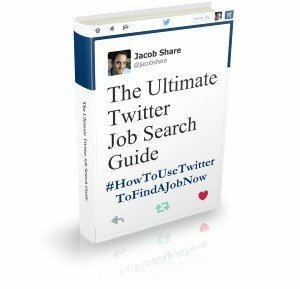 Subscribe to JobMob via RSS or email and follow Jacob Share on Twitter for more life-changing job search advice. Job Search Expert, Professional Blogger, Creative Thinker, Community Builder with a sense of humor. I like to help people. Which email account do you use most for job search?